NASA officials plan to replace the Mars 2020 rover’s heat shield after engineers discovered a crack in the structure earlier this month, but managers anticipate no delay in the mission’s scheduled launch date a little more than two years away. The space agency said in a statement released late Thursday that workers found a crack around the circumference of the circular heat shield April 12, following a week-long test at a Lockheed Martin facility near Denver. A NASA spokesperson did not respond to questions on the damaged heat shield, and the agency’s announcement did not provide an estimate of the cost of a replacement heat shield. The Mars 2020 mission must launch in July or August of 2020, or else wait for the next Mars launch window in the second half of 2022. 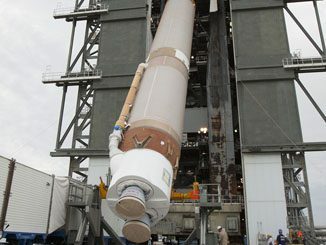 The rover is assigned to lift off from Cape Canaveral on a United Launch Alliance Atlas 5 rocket. 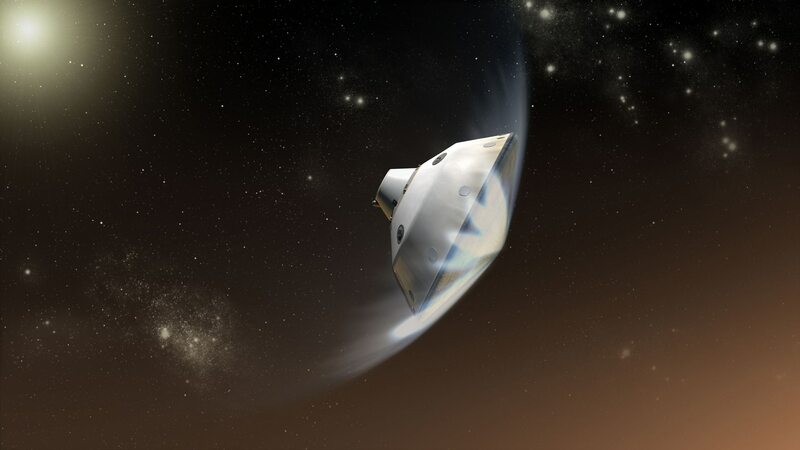 Engineers at NASA and Lockheed Martin are investigating the cause of the fracture, and whether they need to change the design of the new heat shield for the Mars 2020 mission, officials said. 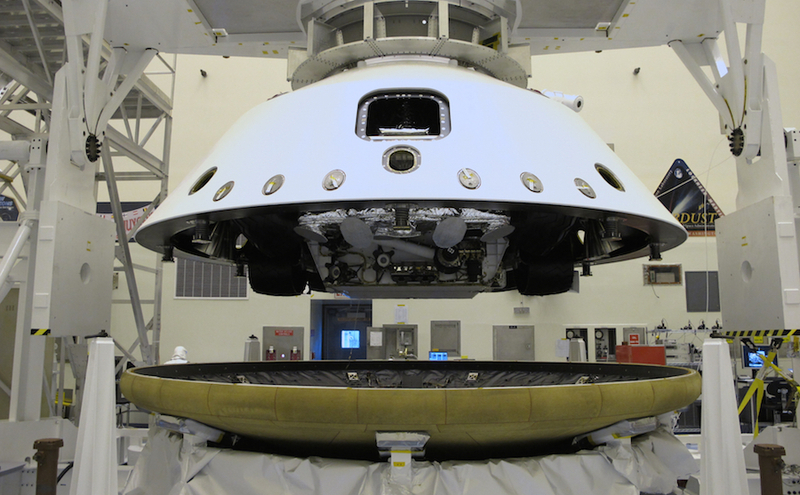 The nearly 15-foot-diameter (4.5-meter) heat shield intended to fly on the Mars 2020 mission was originally tested in 2008 after it was manufactured as a backup for the Mars Science Laboratory mission, which delivered the Curiosity rover to Mars in August 2012. The heat shield and back shell will encapsulate the Mars 2020 rover during its interplanetary trip from Earth to Mars, and protect the spacecraft during its fiery descent into the Martian atmosphere, when temperatures outside the aeroshell will reach up to 3,800 degrees Fahrenheit (2,100 degrees Celsius). 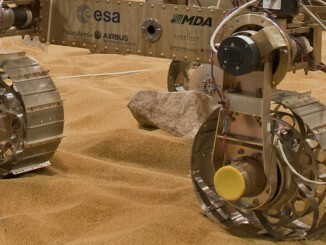 The Mars 2020 mission is using the same rover and landing system design as Curiosity, but with new science instruments, a zoom lens, improved wheels, and autonomous navigation software that will allow the lander to steer away from obstacles like boulders or steep slopes, raising the probability of a successful touchdown. Roughly 85 percent of the new rover’s mass is based on “heritage” hardware based on technology flown on the Curiosity rover, according to NASA. One of the Mars 2020 rover’s primary objectives will be to collect core samples and drop hermetically sealed tubes containing Martian rock, soil and air specimens at predetermined “caching” locations, where a future rover will retrieve and load them into a Mars Ascent Vehicle, a small booster that will blast them into space. 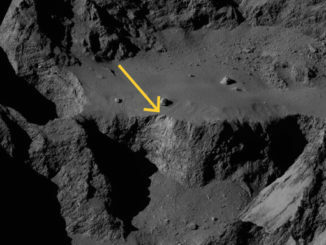 A separate spacecraft will bring the samples back to Earth for analysis by scientists. The Mars 2020 mission’s cruise stage and “sky crane” descent stage are nearly complete at NASA’s Jet Propulsion Laboratory in Pasadena, California, and final assembly of the rover itself should begin late this year. The rover will carry 42 sample tubes, including spares and “blanks” scientists will use to calibrate data and eliminate contamination errors. Mission officials want the the rover to be capable of collecting at least 31 rock and soil samples after it lands on Mars in early 2021. Farley said engineers are also conducting extra wind tunnel and sounding rocket testing of the supersonic parachute to be used on Mars 2020. “It may come as a surprise to people that we would do additional parachute testing because when we began, we believed we could use the MSL heritage parachute design,” Farley said. But parachute failures encountered during testing of NASA’s Low Density Supersonic Decelerator, an experimental testbed built to gauge the performance of a new Martian re-entry vehicle, raised questions on the reliability of the Mars 2020 mission’s parachute design, despite its good performance during the Curiosity rover’s arrival at Mars in 2012, Farley said. The Mars 2020 mission will use a different parachute design than the Low Density Supersonic Decelerator, according to Farley, but engineers have strengthened the upcoming rover’s chute to avoid problems encountered during the decelerator’s high-altitude tests in 2014 and 2015. 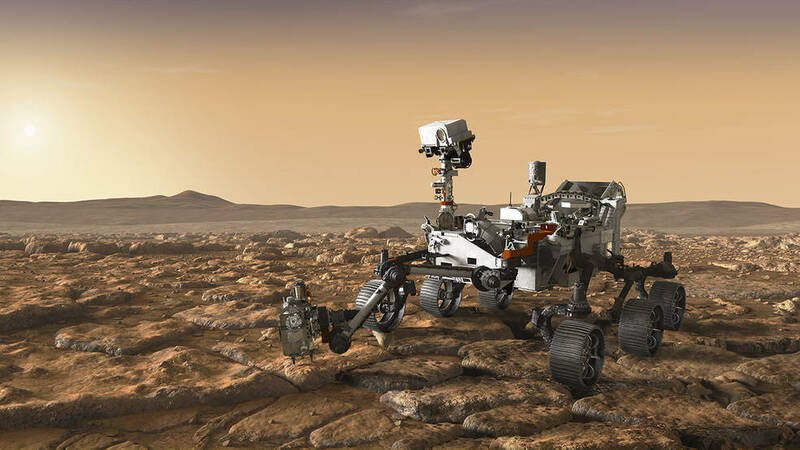 The effort to bring back the samples collected by the Mars 2020 rover is expected to be an international endeavor, with NASA and the European Space Agency planning major roles. Representatives of the two space agencies signed a “statement of intent” Thursday to explore concepts for missions to bring samples from Mars back to Earth. NASA officials have outlined a strategy that could result in the launch of a fetch rover and Mars Ascent Vehicle from Earth in 2026, but details, such was which space agencies or companies will build and fund major parts of the mission, remain elusive.